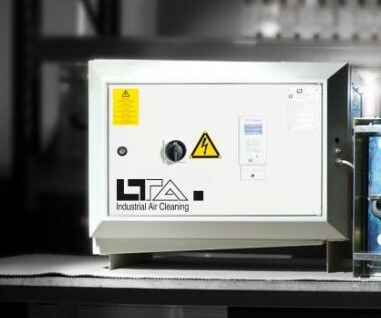 LTA research develop and manufacture a range of Air Filter systems for industrial applications. Both Electrostatic and solid type filters can be provided to suit any application where air quality is important and a legally required. Many machine tools manufacturers have chosen LTA as their preferred supplier. LTA filters are particularly good where Oil or Emulsion type coolant is used. Once contaminated, filters can be removed cleaned and replaced. No need to purchase replacement solid filters.